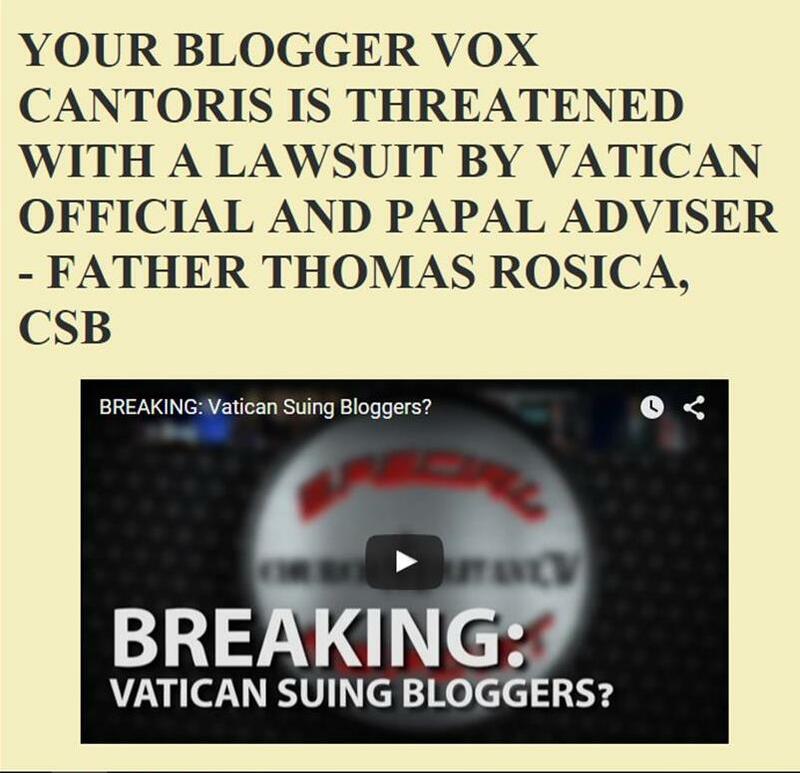 Vox Cantoris: Will Pope Bergoglio undermine Summorum Pontificum? Will Pope Bergoglio undermine Summorum Pontificum? On his blog, Settimo Cielo, Sandro Magister today reveals some of the machinations and the identities behind the demand by Bergoglio to terminate certain priests in the Congregation for the Doctrine of the Faith. Magister goes on to confirm a fear that on the target list next for Pope Bergoglio, through his appointments to the Congregation for Divine Liturgy and Discipline of the Sacraments, is Liturgiam Authenticam. It is believed that he will undermine Summorum Pontificum. 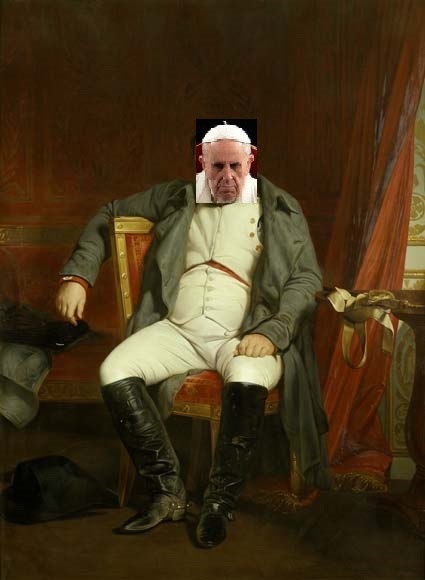 I guarantee you this, Father Bergoglio, try it and it will be your Waterloo! GOD ALWAYS WINS. IT IS SO PITIFUL TO WATCH THE WAR ON GOD. HOW FOOLISH. We know in our hearts that PF would dare. He is getting rid of all things Catholic & publicly respects schismatics, pagans & even abortionists. His foul language towards Traditional Catholics, their priests & media has been well categorised. It is therefore crucial that the formal correction is made hastily & a short time limit on the expected reply- Afterwards the four cardinals & their backers must come forward & formally & collectively inform us that this man is not to be followed. That is the only viable solution at this moment but Our Lady & Her Divine Son may have something more to add in this centenary year of Fatima. We trust in Them. But Bergoglio declared war on Latin Mass in Argentina in the same way that he now destroys the Franciscan friars. Ana do you think that this Pope really reads any catholic blogs? Live in your dream world. Do you think that God will take any action? Live even deeper in your dream world. I do not mean to be rude to you but Christ made us an active religion the same as He did the Jews. He did nothing for them until they put on their Armour and went out to do battle. So far all I see is lots of talk which sometimes I read as written in the ink that comes from the nether end of a bull. We all write lovely warlike threats and we have the way to carry them out but we duck down behind the fortifications at any missiles thrown back at out walls, never using the rules of engagement we have to hand. Vox knows what I mean, ask him what we should do. Bravery is good on paper but that is all it is. To this present Pope, he knows we are scared of his reaction and we leave Cardinal Burke out their in the front. Is he to be the scapegoat or the burnt sacrifice? As the CC recognises a Just War has the time not come to re-introduce the Crusades or is that asking too much in these days of mercy without repentance? What would stop such a force being used to enter the Vatican buildings & take captive these infiltrators who no-one believes are Catholic but Marxist/Masonic/Modernists hell bent on destroying Christ's Church on earth? There would be just cause for so doing & ex army officers & men could be drafted for such a commission. There are always those who will oppose such undertakings claiming its against Human Rights etc. but God's Rights & ours are being trampled into the earth by Satanic forces & so far no-one has responded. Its not for old women like me to organise, rather it for those with military training who still have sufficient youth, skill, commitment to the Catholic Faith & honour for those who have already given their lives for the Truth. We need leadership on the ground not moaners. Cardinal Burke came over as very serene & in tune with what he & the other Cardinals by duty had to do. They know they must carry out the formal correction & see it to its conclusion. They are motivated by the Holy Ghost (who is not the God of Surprises) & as such will undoubtedly receive the graces necessary to finish the task. These deviants are nothing but cowards, as all despots are basically. I know God wants us to show that we really care but I also know He hasn't left His Church & I hold to Our Lady's promise that when all seems lost that will be the time of Her Triumph. We have been forewarned so its up to us to get organised & fighting from every angle to end these dire assaults on Mother Church before the Holocaust of all Holocausts befalls us. God will most certainly remove Jorge Bergolgio from chair of St. Peter at day and hour predetermined in His divine plan. Although this day and hours remains unknown to us it is drawing ever nearer. mike: i have been thinking just that, well not exctly, but coming out of my intnernet shadows and writing to this roman peronist how i really feel. end result will no doubt be my damnation, as our argentine gnostic believes he has the power to do so with his tirades against all those who seemingly oppose his peronist globalist world view, and his anti-platonism. if he's right then so be it, id rather spend eternity in hades in the company of my ancestors who believed in the old religion - not the new religion of bergoglio's god of surprises and magic doors - then spend eternity sitting on some cloud with our fransisco and barry obama. I thought Ana's response was beautiful. I don't understand how you could read it and feel the need to come back so strongly against her. I agree with Ana Milan who has her finger on the pulse. Now we need some Bishops and Cardinals to place their finger on the trigger of truth and courageously speak out against Pope Francis. And we should pray for divine intervention to give them sufficient credibility that the power of God is in their hands so that the necessary changes in the Church will be made. It is coming...he will indeed try to take away the TLM. As a classic narcissist, he has to punish those who resist him. We all have experience with narcissists in this world we live in...think about those experiences...they ALWAYS retaliate if you oppose them. They will wait as long as it takes but it (punishment) will come. And when he does take the TLM away (after all it is just a bone he has thrown us traddies and not the official Mass - I believe he said something to this affect), what recourse do we have? What bishop will defy him? Access to the diocesan TLM will end. To my thinking, the only option for us will be the catacombs i.e. The Resistance Movement. But I am a convert (5 years) and I'm sure I still think like a protestant. I do not know how else to carry on in this environment. I cannot follow error. I, me, myself as an individual, must do what's right no matter who is trying to lead me into sin. OnlyEwe, No matter what happens from now on, just stay close to Our Lady. She will get us through this. She is the Destroyer of All Heresies and She will provide. Bergoglio will try to get rid of the True Mass. He HAS to. All heretics HATE the True Mass! Lucifer HATES the True Mass. We should get used to saying and hearing 'The True Mass' when referring to the TLM. The 'new mass' is a false mass. Bergoglio declared War on the Holy Spirit. Bergoglio attacked the Holy Spirit and the Holy Spirit's protections of Catholic Dogmas and Doctrines etched in the Churches Traditition. His attacks on the Catholic Traditions of the Church are attacks on our Holy Mother, Mary. He slaps Mary in the face everytime he attacks Tradition because the Spouse of the Holy Spirit is Tradition in all its purity. The Woman and Her Offspring.